A rerun of trip 3 that was rained off. Pic above from me scouting this ride last year. In. Just moved to Cardiff so this should make me get on and fix up the MTB hopefully. Here are the draft routes. Won't change much! In RWGPS you will miss most of the interesting features, so upload them here and check on OS maps! Tagging everyone that expressed an interest last time! Cheers mate, seeing this is a MTB route (especially at this time of the year) I call myself out, unless someone lends me one! Pity though, as I am really craving some bikepacking weekend, I can't do the other one because I am busy and can't this either because of lack of gear! I'll keep waiting..
Again I don't have a MTB so feeling a bit inadequate for this. Although I could probably have something resembling a SSCX, so there's that. Potentially actually. An idea of an average price for the trains etc? Tent necessary for overnight or just bag in the bothy? bbbbummmmpppppppp!!!!! this is in 10 days. 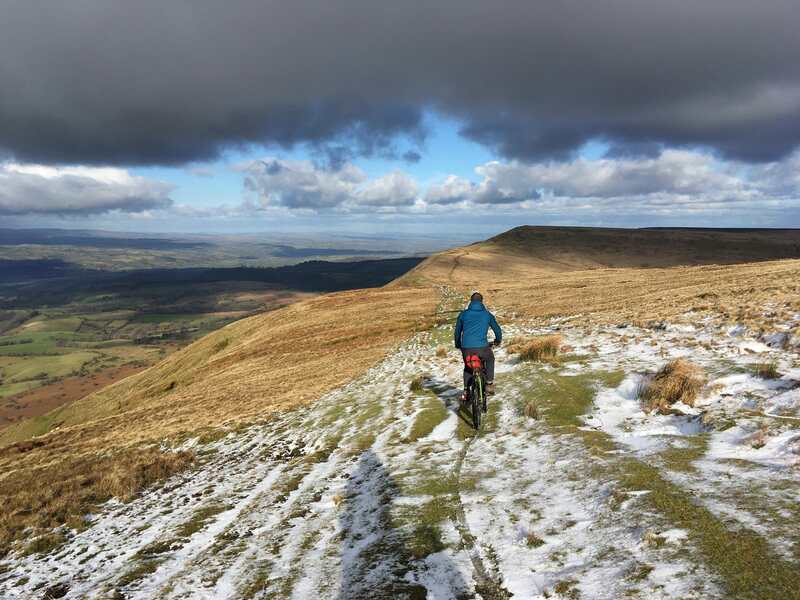 you need a mountain bike for this route. it's pretty chunky. the routes are marked in post #4. there's a lot of up and down, some of the best MTB trails around. I'll have to confirm after weekend. Injury has kept me off the bike in recent weeks, hopefully going for a little test ride this weekend to see how I hold up. I'm afraid I'm out this time sadly, will certainly be keeping an eye on other planned rides though. Have a good one. The weather looks OK (currently sun all day Saturday and some sun/some rain Sunday) so we are going ahead. 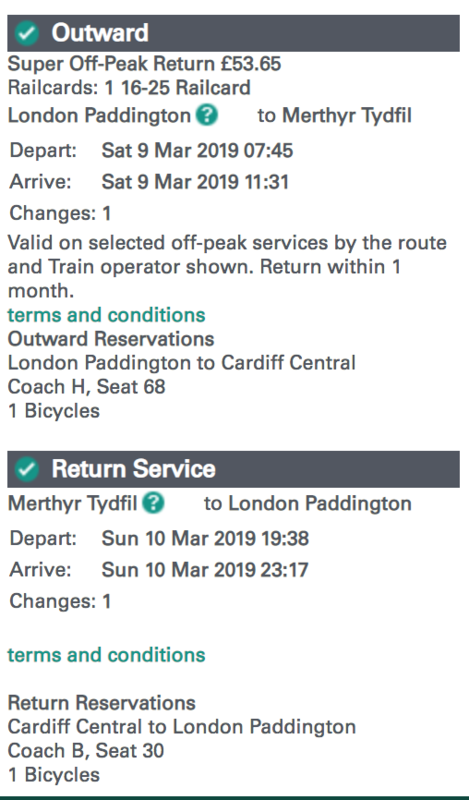 You must book a ticket now for these trains and you must reserve a bike space for the London-Cardiff outwards and return leg! If you don't reserve a bike space they won't let you on the train. Book at GWR.com and you can do this easily during the checkout process. Please please please book this asap or the bike spaces (I think there are 6 max) will be taken by other people using this train and then things will get very complicated. Tagging potential people @yakut @TvH @spotter @whoever else too!